If you install the plugin, this image will replace the WordPress logo on your default login page (typically /wp-login.php). I also added an RSS widget to the Dashboard, using the awesome data and services of the Internet Archive (long supported by Deadheads uploading live recordings to the Vault there). Plugin users who log into their sites will see a list of shows performed by the Grateful Dead on that particular day in history, with links to listen to the shows. I thought about a feature like the Hello, Dolly plugin, that would show Dead lyrics inside the admin areas, but abandoned that as there are probably copyright issues. The images and the show archive are all public-domain or under creative commons licensing allowing sharing. As I wrote in the plugin description, “Like WordPress, the Grateful Dead represent openness, freedom and creativity.” People started recording Dead shows early, and the band were quick to allow and encourage the practice of making tapes for non-commercial distribution. Tapes were shared under informal terms not unlike open source software licenses, furthering the “adoption rate” of the band’s music. The music itself was, in its most perfect expression, a result of teamwork produced by people working under a “mind-meld” situation that band members often spoke about. Improvisation within traditional and comfortable structures. Relatively horizontal hierarchy (leaderless, or more descriptively, “leaderful”). Working towards a common goal, while open-minded about the possible pathways toward it. I think the parallels to open source software development are obvious. 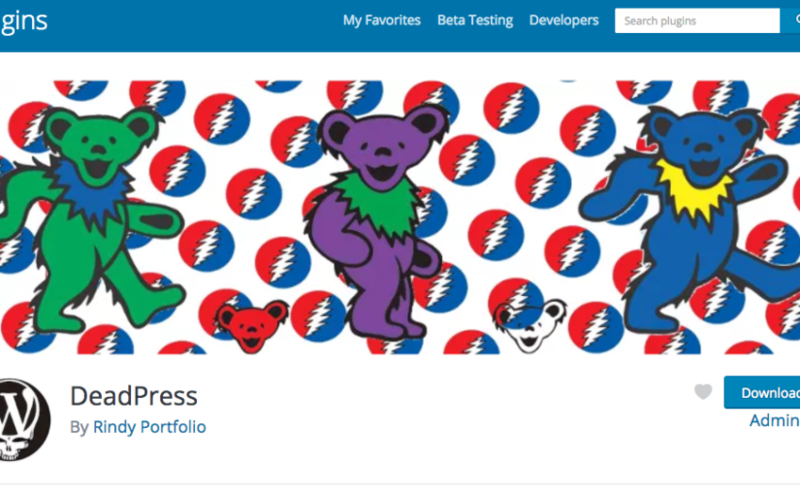 WordPress in particular, as an open source project, has a strong reputation as friendly, accepting, and open – another similarity with the Deadhead community. 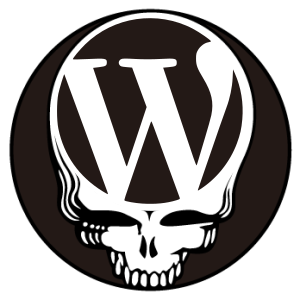 There will be exceptions, of course, but my personal experience and feedback I’ve heard from others confirms that WordPress people and Grateful Dead people are overwhelmingly kind, thoughtful, curious and helpful. Good folks to know, and to be counted among. If it interests you at all, download DeadPress from the repo.